Marvel Studios president and producer Kevin Feige will receive the Albert R. Broccoli Britannia Award for Worldwide Contribution to Entertainment at the 2018 British Academy Britannia Awards, the British Academy of Film and Television Arts Los Angeles (BAFTA Los Angeles) announced on Wednesday. The British Academy Britannia Awards is BAFTA’s biggest event outside of the U.K. This year’s ceremony will take place on Friday, October 26, 2018 at the Beverly Hilton Hotel and will be presented by American Airlines. Feige joins honorees Steve McQueen, who will receive the John Schlesinger Britannia Award for Excellence in Directing, and Cate Blanchett, who will get the Stanley Kubrick Britannia Award for Excellence in Film. 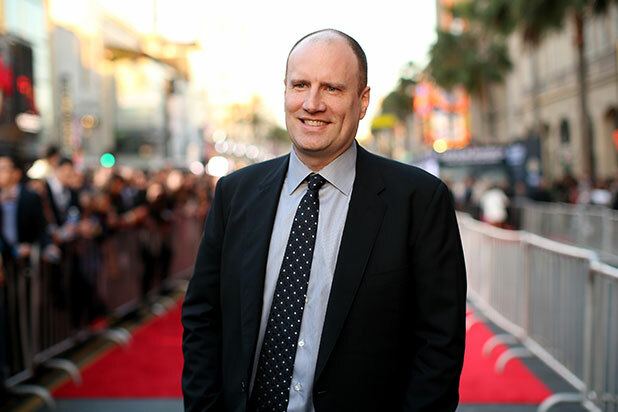 Kevin Feige has been the driving creative force behind several billion-dollar franchises and an unprecedented number of blockbuster feature films, all connected to create the Marvel Cinematic Universe. Feige oversees Marvel Studios’ feature film productions, whose 20 films released have all opened No. 1 at the box office and collectively grossed more than $17 billion worldwide. Six of the MCU films have crossed the $1 billion threshold at the global box office. In April, “Avengers: Infinity War” opened and broke box-office records with $257 million domestically and $630 million worldwide in its opening weekend. Eleven days after release, the film crossed the $1 billion mark worldwide, breaking the record for the shortest time to reach $1 billion in box-office receipts. The film’s worldwide box office exceeds $2 billion to date, making it the highest-grossing Marvel Studios’ film thus far. 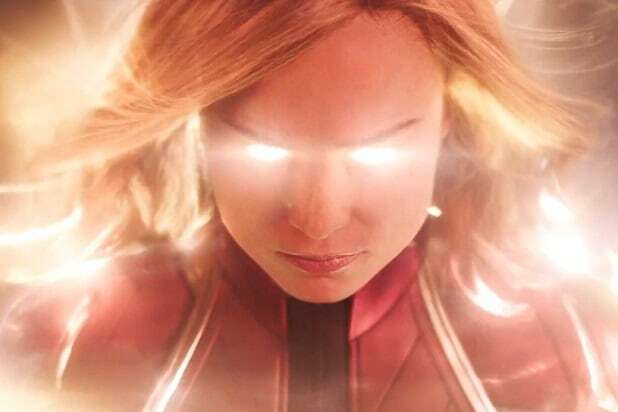 The first trailer for "Captain Marvel" is here, filling in a few details of the Marvel Cinematic Universe's first standalone movie about a woman superhero. The hints are few and far between, though, especially because it seems protagonist Carol Danvers is suffering from amnesia. Here are all the details we've gleaned from our first big look at "Captain Marvel." Judging from Nick Fury's (Samuel L. Jackson) the voice-over narration, Captain Marvel (Brie Larson) isn't returning home for a social call. She crashes on Earth, and it seems likely she's in pursuit of a threat in her role as a member of Starforce, a team of aliens who hunt bad guys. Fury also calls her a "renegade soldier," so she's probably chasing down those bad guys in defiance of her Starforce orders. She also apparently doesn't remember her life on Earth, except in flashes and dreams. Danvers crash-lands in a Blockbuster Video, and later she's seen wearing a Nine Inch Nails t-shirt, for a couple of not-so-subtle but very fun nods to the time period in which the movie takes place. That's LA's 7th Street/Metro Center train station. We knew "Captain Marvel" was being filmed in LA and around California, but that doesn't always mean the movie is going to really be in LA. We get shots that are distinctly LA, like what looks like a big battle on an Expo Line train, along with a California desert drive with Nick Fury later. We knew the Skrulls, a race of scary alien bad guys, would be the villains of "Captain Marvel," and it seems clear from the trailer that she comes to Earth hunting them. The trailer sees Carol haul off and punch an elderly woman in the face on an LA Metro train -- she's definitely a Skrull, who are so far as we know the main villains of the film. The Skrulls have the ability to shapeshift to disguise themselves, so it's pretty clear that woman isn't a woman at all. This appears to be a continuation of the earlier shot of Carol at the Metro station, which completes later with her fighting on top of the train. Earlier in the trailer, we see a shot of Captain Marvel hopping up on top of a Metro train and using her powers against an unseen adversary. Given all the train-related shots, it looks as though this is all one sequence, with Carol heading to the train station, boarding the train, confronting a disguised Skrull and then duking it out. Maybe an awesome, action-packed cold open? A movie about an alien invasion fits well in the 1990s, which had UFO pop culture see a resurgence thanks to things like "The X-Files" and "Independence Day." "Captain Marvel" gets to flip the script by suggesting some of that UFO stuff was real -- like this shot of what seems like a government facility and the studying of an alien. It's tough to identify the species on the table, but this could be a ruse, referencing Fox's 1995 special "Alien Autopsy: Fact or Fiction" and the 17-minute hoax film it was based on. This shot looks like an encounter between a shuttle from Earth and a huge, cloaked alien ship -- maybe the one Ronan the Accuser (Lee Pace) is aboard later in the trailer. It's not clear if this is happening the present, after Danvers' arrival on Earth, or if it's the past, like perhaps the ship that took Danvers from the life as a fighter pilot she struggles to remember. Given the shot of Danvers in human military clothes flying a human spaceship later in the trailer, we're guessing it's the past. We already know Nick Fury is in S.H.I.E.L.D. as a lower ranking officer in "Captain Marvel," but his narration suggests he was getting sick of his career, until a bona fide superhero finally showed up from space. Along with his beginnings, we're seeing Fury before he received his eye patch and leather jacket -- his experiences with Captain Marvel seem to be what put him on the track to advancement. One of Nick Fury's top agents in the early run of MCU films -- before he seemingly dies in "The Avengers" and features as the leader of a team on "Agents of S.H.I.E.L.D." -- Phil Coulson (Clark Gregg) is back in "Captain Marvel." Are we going to see how he and Fury first teamed up? We learned not long ago that Danvers would start the movie as a superhero -- she's a good member of Starforce along with several other notable alien folks who've shown up in other MCU movies. We see her seemingly living life on a planet in the Kree Empire, one of the alien factions that first showed up in "Guardians of the Galaxy." It seems she's been there for a while, though, and her voice-over narration shows she's struggling to remember her life before her powers, or how she got them. Danvers can't seem to remember what happened to her, but we get flashes of it through the trailer. If we had to hazard a guess, it looks like Danvers encounters a UFO as a fighter pilot, crashes, and gets blasted with alien energy when she checks out the wreckage on the ground. How she gets from Earth to Starforce, though, is another question. It's not clear exactly what this machine is, but it could be the Kree Psyche-Magnetron machine that gives Danvers her powers in the comics. Another detail of note from the comics is that her shift from being a normal human to a half-Kree superhero isn't instantaneous -- it's more like an evolution, and it takes some time for her body and mind to get accustomed to the changes, given her amnesia we're assuming she'll go through a similar evolution in the film. We know Starforce, the group of superheroes put together by the aliens known as the Kree, will be a big part of "Captain Marvel." The team includes a few familiar faces, like Korath (Djimon Hounsou) from "Guardians of the Galaxy." To Carol's right is Minn-Erva (Gemma Chan), a Kree geneticist who turns bad in the comics and could wind up as an antagonist in the movie. The villain of "Guardians of the Galaxy," Ronan the Accuser, is a Kree warrior who eventually goes a little megalomaniacal. His role in "Captain Marvel" isn't clear, but he's definitely back and being menacing in the trailer -- seemingly standing on the alien ship that reveals itself in orbit around Earth. He also has that hammer, which, in "Guardians," he planned to use with an Infinity Stone to destroy all life on the planet Xandar. A brief flash of this pager raises some questions about what Fury is up to in "Captain Marvel." Did S.H.I.E.L.D. send him to recruit Carol, keep an eye on her, or maybe eliminate her? "Target" is definitely a loaded word. That's also the pager shown in the post-credits stinger of "Avengers: Infinity War," albeit younger, less worn and without a bunch of additional cool alien tech attached. The last shot of the trailer is a glowing, super-charged Carol wearing her blue and red Captain Marvel suit -- her final, more iconic look. Given the design, it looks like her Starforce suit with its colors changed, maybe as a side-effect of this supercharging. In fact, we're now wondering if Carol's dip in the alien machine earlier in the trailer (which might be the power-bestowing Psyche-Magnetron) might be used to amp up her abilities, and give her the unique suit, too -- after all, in the comics, the suit is actually given to her by the machine when it gives her her powers.